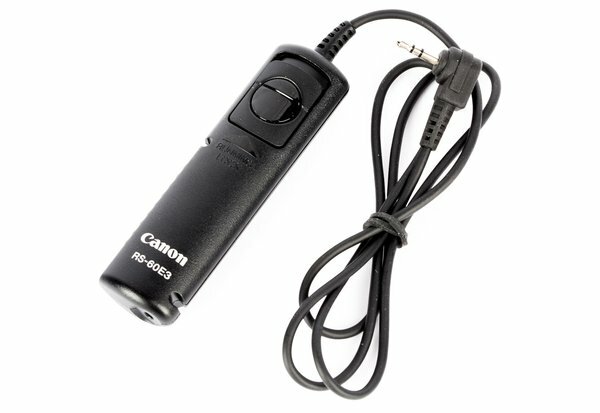 The Canon RS-60E3 Remote Shutter Release is designed for entry-level and consumer-grade Canon DSLRs and compacts. 2.0’ Cable Release. Enables shooting without touching the camera. Most useful when vibration and camera shake are critical, such as long telephoto exposures on tripod-mounted cameras. Canon E3 Connection. This sub-mini connection cable is compatible with entry-level and consumer-grade Canon cameras such as the Canon 80D / 70D / T7i / SL1 / G1 X Mark II.